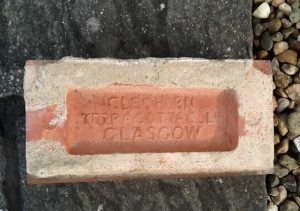 Home / Scottish bricks associated with particular structures / Main Stand, Tynecastle Park, Edinburgh. Main Stand, Tynecastle Park, Edinburgh. 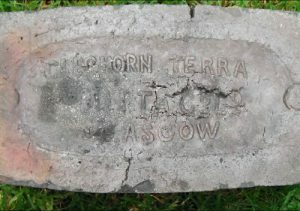 The brick is in the possession of Mary Falconer. Previous Article Unidentified Building Sawmillfield Street, Glasgow. Found at the Cleghorn site. 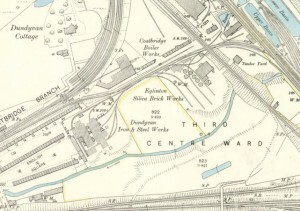 Cleghorn Brickworks, Cleghorn, Lanarkshire. . . . .
Found at the Cleghorn site. 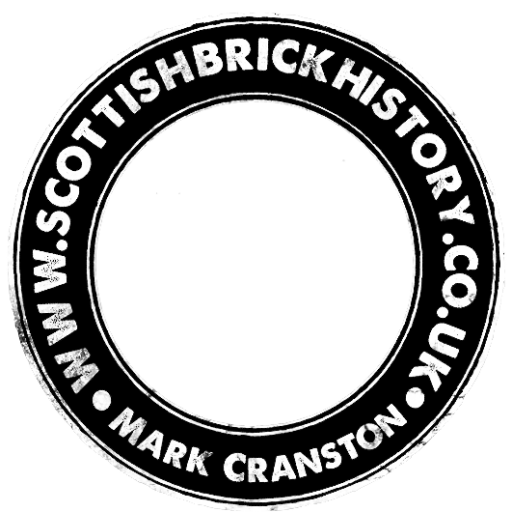 Cleghorn Brickworks, Cleghorn, Lanarkshire. 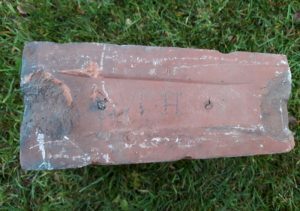 This looks like a section of broken roof tile. . . . Below – a more complete stamp found at the Cleghorn site by Mat Lupton. Found by Ian Suddaby in the Haymarket, Edinburgh. The writing is on a slight curve top and bottom lines. 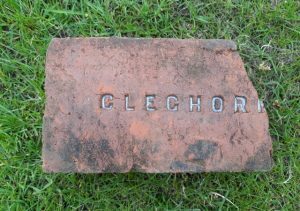 Cleghorn Brickworks, Cleghorn, Lanarkshire. . . .
Found at Cleghorn Brickworks, Cleghorn. 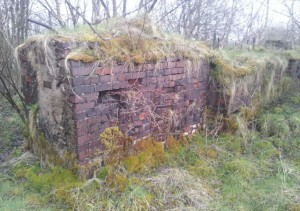 Cleghorn Brickworks, Cleghorn, Lanarkshire . 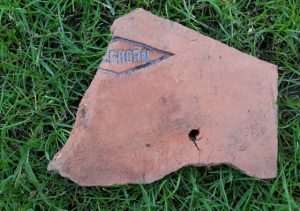 This is a broken roof tile. It is marked with a 3 to the opposite side from the makers stamp. 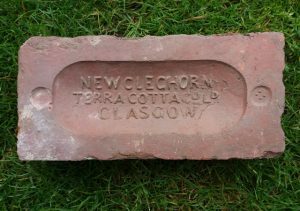 . . . .
Found at the Cleghorn Brickworks, Lanarkshire Cleghorn Brickworks, Cleghorn, Lanarkshire. 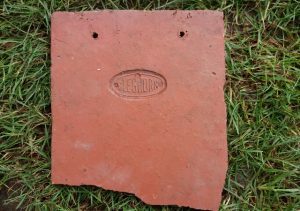 . . . .
Found at Cleghorn Brickworks, Cleghorn Cleghorn Brickworks, Cleghorn, Lanarkshire. . . . .